Just over one year ago here at Diabetes Flashpoints, we discussed the possibility that hundreds of thousands of people with both diabetes and kidney disease might benefit from taking the diabetes drug metformin. As we noted then, this drug has carried a “black box” warning on its label — mandated by the U.S. Food and Drug Administration (FDA) — ever since it became available in the United States in 1994, due to concerns about lactic acidosis. This rare but extremely serious reaction was found to be an unacceptably common side effect of a drug related to metformin — phenformin — which was pulled from the U.S. market in 1977. Lactic acidosis is much more common in people with impaired kidney function. Since metformin’s warning label is based, in part, on concerns about a different drug entirely, many researchers have tried to estimate how safe metformin is for people with diabetes whose kidney function is impaired. Last year, we noted that many researchers believe metformin is safe for people with mild to moderate kidney disease, defined as having an estimated glomerular filtration rate (eGFR) of 30–60 ml/min. And one study found that using a safety cutoff of an eGFR of 30 ml/min, nearly one million people in the United States who currently don’t take metformin because of the FDA’s labeling might be able to safely do so. So what’s changed in the last year? 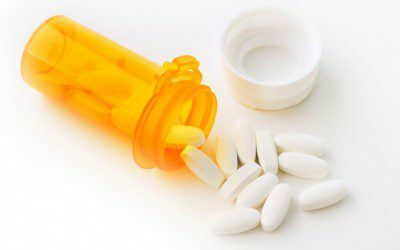 The evidence, it seems, has only grown stronger in favor of metformin being more widely prescribed to people with kidney disease. As noted in a recent article at DiabetesInControl.com, the blood-glucose-lowering benefits of loosening restrictions on metformin could be enormous. One study cited in the article, published last August in the journal Diabetes Care, found that depending on how eGFR is calculated, as many as 834,000 people could be newly eligible for metformin if the eligibility threshold were set at an eGFR of 45 ml/min or higher. Notably, this threshold is more conservative than the one in the study we cited a year ago (an eGFR of 30 ml/min) — yet the number of people who could benefit from it, according to the more recent study, is almost as high. And according to the newer study, if a less cautious threshold of an eGFR of 30 ml/min were to be used for metformin eligibility, as many as 1.63 million people might be able to benefit from the drug. Among different demographic groups, men were more likely than women to become eligible for metformin if kidney-function restrictions were loosened and based on eGFR. Non-Hispanic black people were also more likely than other racial or ethnic groups to stand to benefit from a loosening of restrictions. What’s your take on the FDA’s “black box” warning on metformin and lactic acidosis — based on what you’ve read or heard, should it be relaxed or changed? If you have chronic kidney disease, have you talked to your doctor about taking metformin? What was the outcome of your discussion? Do you know of any doctors who have prescribed metformin to people with chronic kidney disease despite the FDA’s warning? Leave a comment below!